I did something today that I have never done before. I wrapped presents before Christmas Eve! 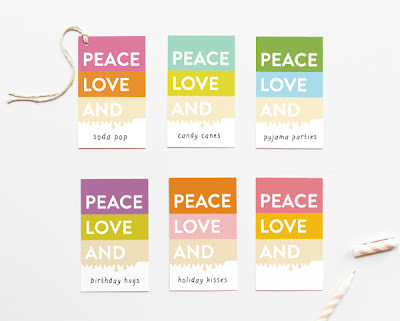 I am not even half way done, but if I finish before the big night I might have time to actually put cute Christmas gift tags and bows on them. When you have a mad present wrapping session until 2am Christmas morning, you are lucky if you remember to write the recipients name on the package with a Sharpie. 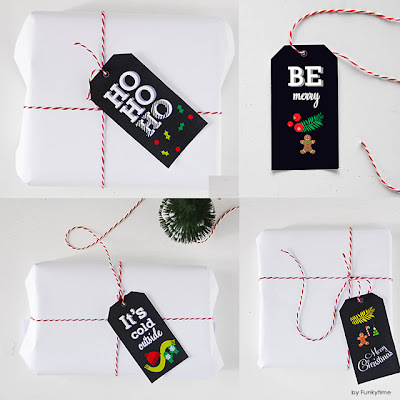 So just in case, here are some printable gift tags to use, like these fun Christmas tags from Picklebums. The Christmas tree made from text is my favorite in this set. Funkytime has some Christmas gift tags with a dark background. Something you don't see very often, but would make a fun statement against some solid colored wrapping paper. 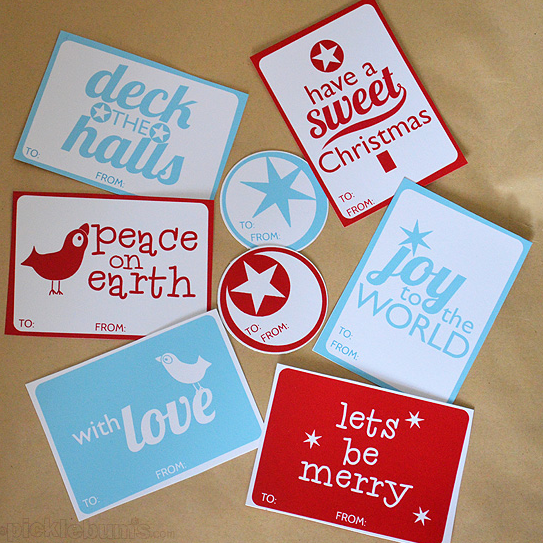 These Christmas tags from Minted Strawberry would be fun printed on colored cardstock. 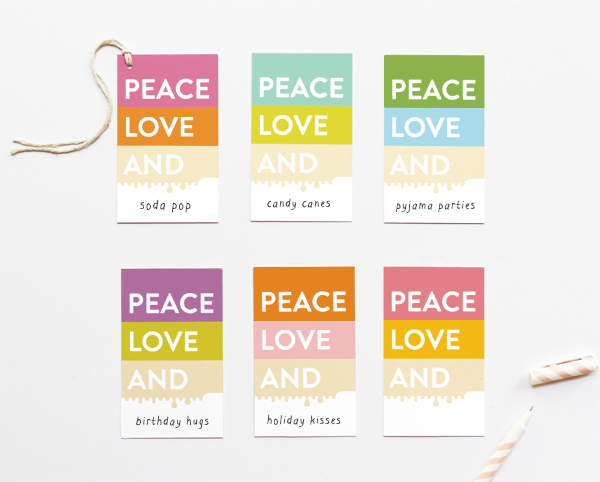 These fun Peace, Love, and Color Block gift tags from Eat Drink Chic aren't just fun for Christmas, but you can use them all year round. 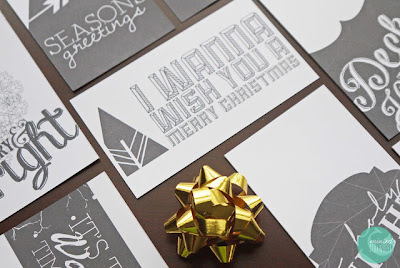 or her typographical holiday gift tags that I love too!